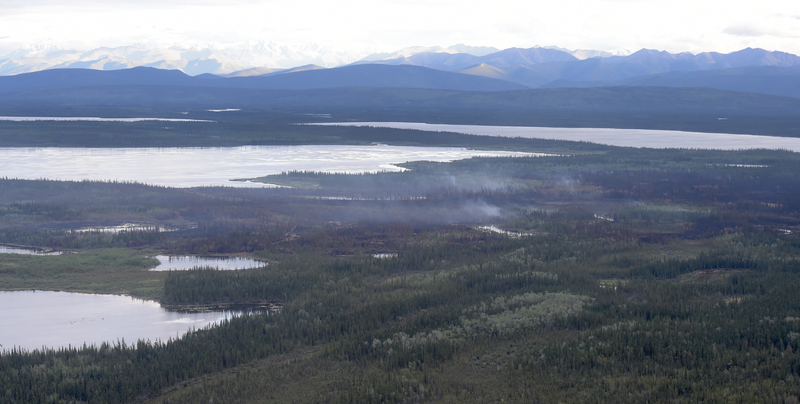 July 1 – Full containment of the 818-acre Tetlin River Fire near Tok is anticipated by this weekend, according to fire managers with the Alaska Division of Forestry. There are still approximately 100 personnel working on the fire but that number has been dropping daily and will continue to do so as crews and miscellaneous overhead from a Type 3 incident management team are released from the fire. The fire will be downgraded to a Type 4 incident on Saturday, July 2 due to scope of work that has been done. The Tok Area State Forestry office will assume command of the fire. Firefighters continue work on extinguishing any heat remaining on the southwest corner of the fire to ensure containment. Crews are also continuing to remove hazard trees along the Tetlin River corridor and local trails that pose safety risks to firefighters and local residents who use the river and trails as main transportation routes. Crews are also breaking down spike camps that were set up on the perimeter of the fire and collecting hose and pumps that were used to fight the fire. A helicopter with a heat-sensing (infrared) camera will be utilized to look for hotspots on the fire’s perimeter. Any hotspots identified will be extinguished by firefighters. The Tetlin River Fire started on June 17 and quickly advanced toward the village of Tetlin as a result of high winds. 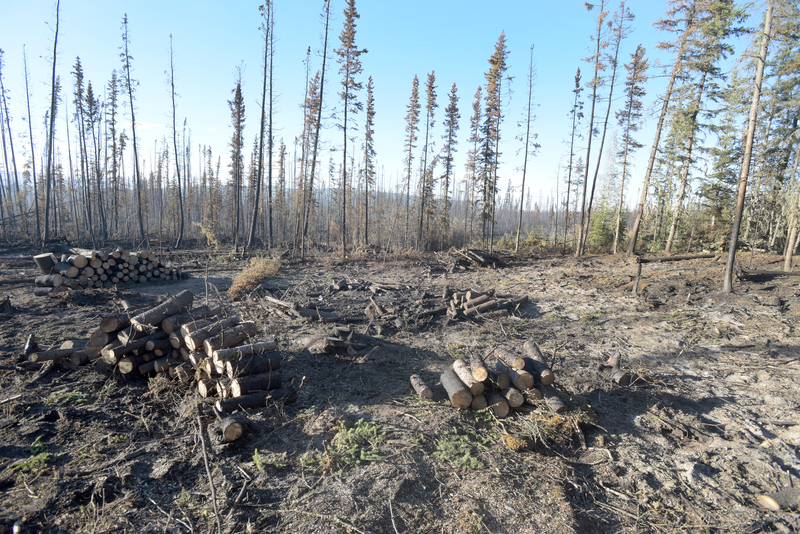 The fire came less than a mile from the village located 16 miles off the Alaska Highway before firefighters were able to stop it at the village airstrip on the outskirts of the village. The fire spread to a total 818 acres, with a majority of the growth happening in the first 72 hours. 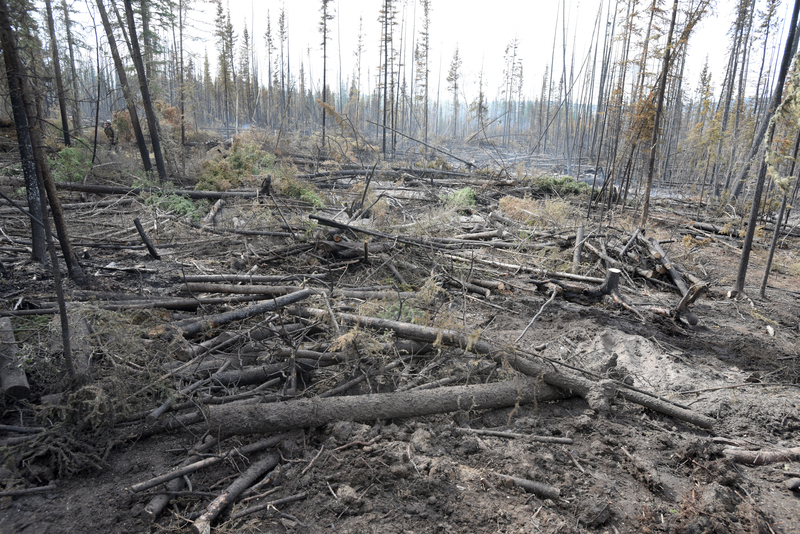 Wildfires in Alaska typically burn unevenly, resulting in a mosaic pattern, or patchwork, of vegetation across the landscape. The burn pattern on the landscape from the Tetlin River Fire is a good example of this type of mosaic burn pattern. Smoke is anticipated from interior pockets of unburned vegetation. Information about how the landscape changes following a wildfire and hazards to watch for (i.e. snags, ash pits) was distributed to the community of Tetlin. Contact: Public Information Officer, Tim Mowry at email: tim.mowry@alaska.gov or call 907-356-5511.